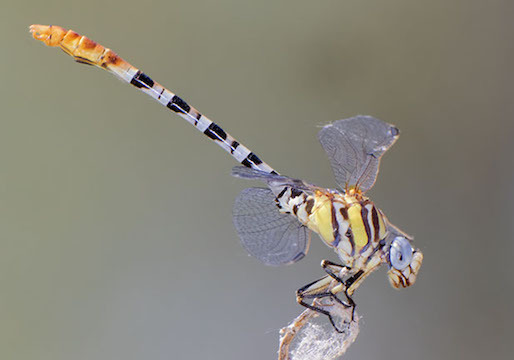 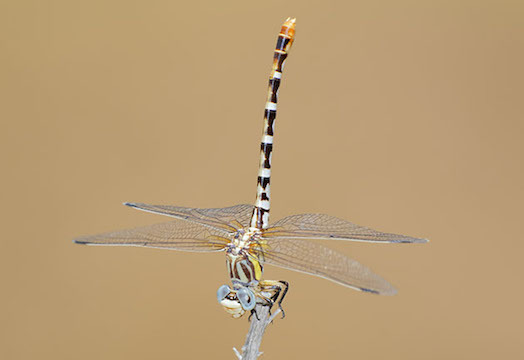 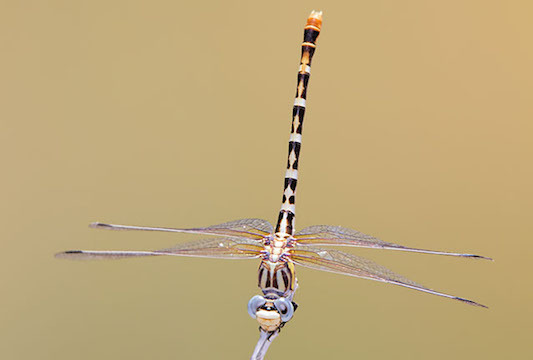 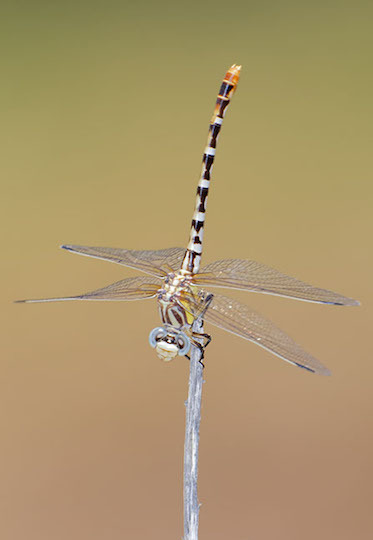 This beautiful slender dragonfly is widely distributed but sometimes hard to find; these were perched by the Colorado River near Blythe, and next to an irrigation canal in California's Imperial Valley on HOT summer days (nearby we found another, similar species, the russet-tipped clubtail). 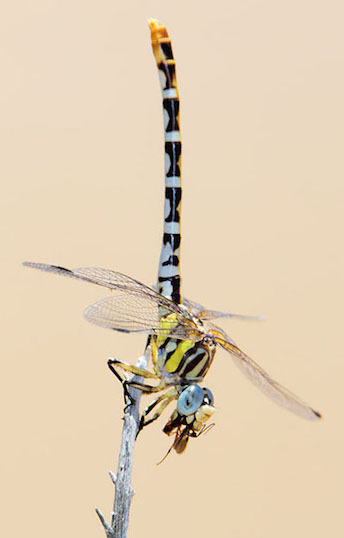 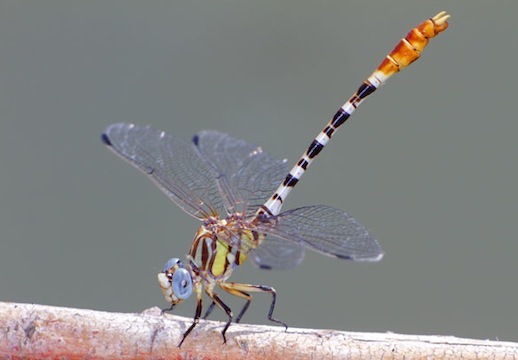 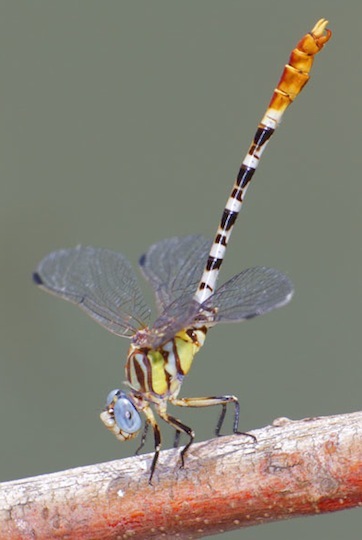 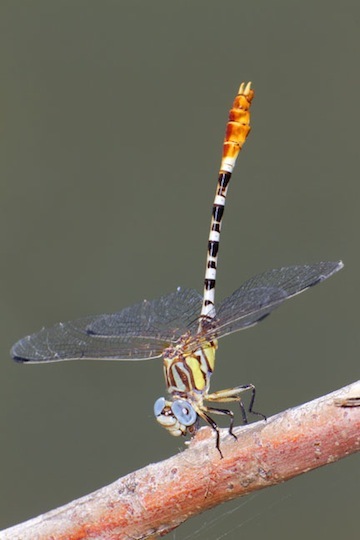 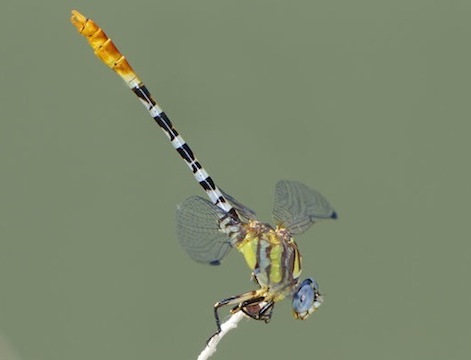 Males have an expanded abdomen tip, or 'club' that is reduced or absent in females. 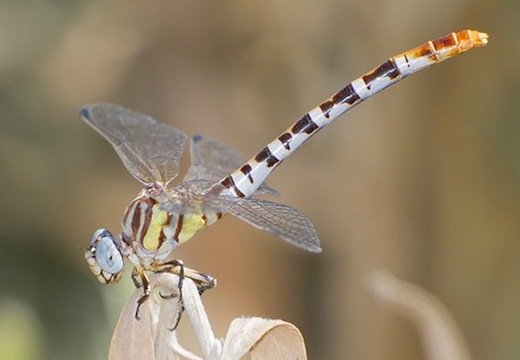 Most of these were in 'obelisk' posture, pointing the abdomen at the sun to reduce heat gain. 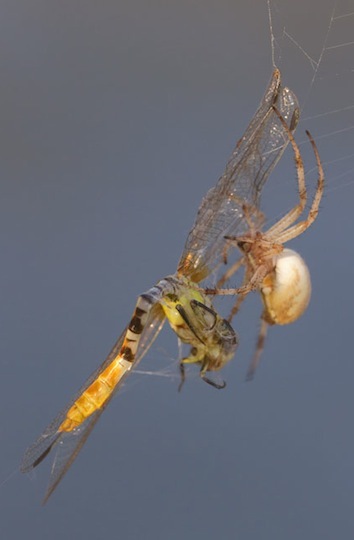 The first individual we found let me take several photos and then took off straight into a spider web, where it was promptly bitten, wrapped, and eaten (see below).